What Are The Best Protocols To Use? Many people have been talking about using VPNs, and you might have started wondering what VPNs are, what they do, how will they affect your everyday life and what is the best for America and USA? In this guide, we’ll discuss those and many other questions, so if you want all the answers in one place, just keep reading. VPN, or Virtual Private Network, is a safe, secure network that’s stretched over the one you’ve used so far. Basically, it’s a private network, that has its own servers, protocols, and alike. VPNs can do a lot to help you out when it comes to your online safety, security, privacy, and anonymity. They can encrypt your data traffic, help hide your torrenting, change your IP address and make you look like you’re from anywhere in the world, which is something really useful when it comes to unblocking geo-restricted content. They can also protect you from malware, block ads, hackers, and even your own ISP (Internet Service Provider). VPN is the ultimate, and the best layer of protection against intrusion, online spies, and alike. You might be thinking that you don’t need it and that you live in America. 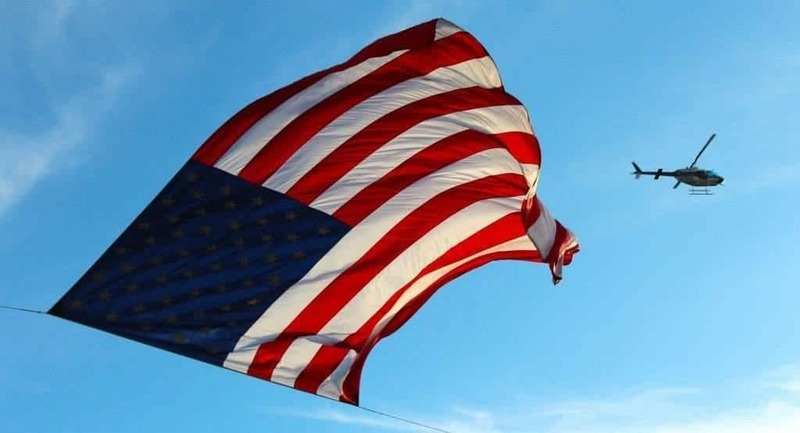 America’s made on the freedom of speech, rights, privacy, and freedom in general. That may be so, but lately, that has started to change. Thanks to whistleblowers like Edward Snowden, we’re now aware of how much the government agencies (with NSA on top) are actually spying on your every online move. They’re recording everything they can, and have been doing so for quite some time now. They’re recording everything, spying on everyone, and aren’t showing any signs of stopping anytime soon. That’s why you need VPN since the VPNs have turned out to be one of the few ways to fight this insane privacy breach. Now that you know what VPNs can do, as well as why do you need them in the first place, it’s time to learn which one to choose. Choosing a VPN can be a tough job, and that’s mostly because there are so many of them. There was a time when a lot less of them existed, and they were mostly used by hackers and people who knew about the safety risks, as well as by companies that used them to keep their business secrets to themselves. However, after the truth about government agencies that are spying on the US citizens came out, people started seeking a way to protect their privacy. VPNs stepped out of the shadows and were very well accepted, which provided them with more clients, which meant more money. Soon enough, many more of the VPN providers started appearing, and today, we have hundreds of them to choose from. Despite this, there are no two of them out there that are exactly the same, which makes the problem of choosing one that much harder. Still, it can be done, and we’ve decided to trust the more experienced users, but only after we’ve tried out their recommendations, and we weren’t disappointed. So let’s check them out, and see what they’re all about. 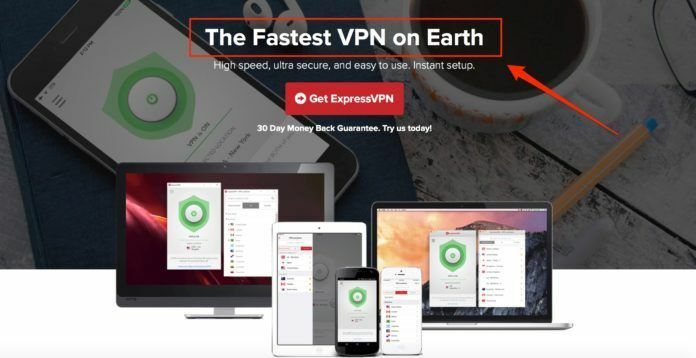 As one of the best VPN providers in the entire industry, ExpressVPN‘s popularity just keeps on growing. It offers many features, and so far, no one who tried it out has decided that it doesn’t suit their purpose. Its reputation is excellent, and it’s one of the best ones that you’ll ever find. As we mentioned, it offers many different features, among which are unlimited bandwidth, low prices for several of its package plans, as well as several different protocols for you to choose from. It has a strong no logging policy, which means that none of your activities are being recorded, and so not even via court order can anyone access your online actions. ExpressVPN offers many servers in over 77 countries, and they guarantee your protection with a strong 256bit encryption. And when it comes to guarantees, they also offer a 30-day money back guarantee, which is perfect if you simply want to try out the VPN, but aren’t sure if you wish to commit. Now you can use it for a month, and if you don’t like it, simply ask for your money back, and as long as it’s done within the first 30 days, there’ll be no penalty for going back on the deal. Its software is very simple and easy to use, even if you’re new when it comes to using VPNs. If you have any additional questions when it comes to how to use it, or if you encounter any problems, there’s a non-stop customer support that you can contact via email or live chat. Even though the free trial isn’t included, the money-back policy is more than enough to let you try out the VPN and see if you’re satisfied with it. Just like ExpressVPN, IPVanish is among the top VPN providers, and that goes for the entire world, and not just the USA. It’s a very competitive provider, and it’s among the best when it comes to accessing geo-restricted content, mostly because it has tons of servers in over 60 countries. In total, that makes for more than 25,000 IP addresses, which is an amazing feat, even for an experienced VPN provider. IPVanish has another advantage, and that’s the fact that it owns the network it uses, which helps them being among the fastest, if not THE fastest provider on the market. But the features don’t stop there, and IPVanish is known for supporting several protocols, just like ExpressVPN. It offers unlimited bandwidth, simple and free software, five simultaneous connections, and it’s compatible with many different systems. Next on our list is NordVPN. 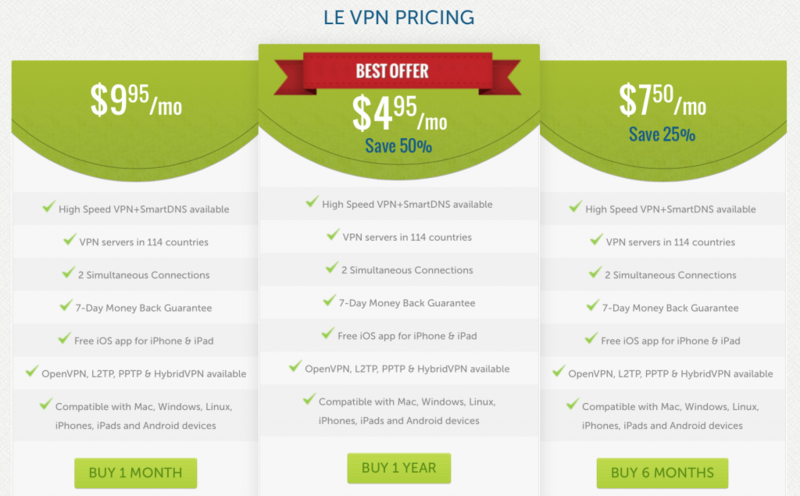 Just like the previous ones, this VPN offers a great deal, and it’s a very well organized one at that. It offers extra safety and security by doubling the data encryption, that encrypts it twice, and it’s a deal only available for the NordVPN users. It also offers a very fast connection, as well as a decent network that consists of 981 servers in 58 countries around the world. NordVPN’s network may be smaller than what others like TorGuard are offering, but that doesn’t make it any less reliable. NordVPN is known for bragging about their speeds, and they have every right to do it since they provide one of the fastest services that can be found. Setup is also extremely easy, as well as finding your way around the app, which is why this VPN can be used by the new users, as well as VPN veterans. NordVPN also takes the matter of their users’ security very seriously, which is why it also has a very strict no logging policy. Another one of their best features includes a kill switch, which will immediately shut down any website, as well as software that you might be using in case of bad connections. This is done so that your info wouldn’t leak, which is just another proof of how much NordVPN worries about the users’ privacy. It’s also well known for its support towards P2P file sharing, money back guarantees that last for 30 days, as well as the fact that it accepts Bitcoins, as well as other forms of payment. NordVPN is definitely worth checking out. TorGuard is also enlisted as one of the top VPN in the market, and we’re sure that you won’t regret using it. This one is one of the definite leaders when it comes to the number of features that it offers. It even has four different offers for its users, depending on what level of protection do they require. For example, someone who only wishes to protect their emails has no need for full VPN protection. Instead, they can choose an anonymous email package, with a reduced price, as well as fewer general features. However, that same package will have more features concerning the email protection itself. When it comes to the regular VPN protection package, TorGuard offers unlimited bandwidth and speeds, up to five simultaneous connections, as well as several different tunneling protocols. It also offers its own stealth proxy, free non-stop customer support, and more than 3000 servers in over 55 countries, making it a VPN with an enormous network. The rest of the features clearly show how much this provider cares about making their users comfortable with the service, and the strong encryptions and the fact that TorGuard doesn’t keep any logs only enhance that feel. Money back guarantee is also included, and the app it offers is easy to install, and even easier to use. Last but not least, we have LeVPN. As one of the most trustworthy providers, LeVPN deserves its place on our list as well as any of the other ones. It was founded back in 2010, by a team of the information security specialists, and since then, it found its way up, and now protects thousands of clients across the world. Just like the rest of them, LeVPN offers first class encryption, supports torrenting and P2P file sharing in general, and guarantees confidentiality by keeping no logs. Its network is still growing, but for now, it offers servers in 114 different countries and can make you a local in half the world. Its software is extremely well organized, and easy to use, and it comes for both, Windows, and Mac. It offers unlimited bandwidth, as well as high-speed connections, SmartDNS service, and even a mix of VPN and SmartDNS called HybridVPN service. Several protocols are also included in its offer, including L2TP/IPSec, PPTP, as well as OpenVPN that’s often considered to be the best one. You can use it on two different devices at the same time, and it’s compatible with iPhones, iPads, Mac, Windows, Android, as well as VPN routers. Its client support is also among the best, and it’s described as fast and supportive, and can even assist clients in three different languages. And of course, let’s not forget about the money back policy. 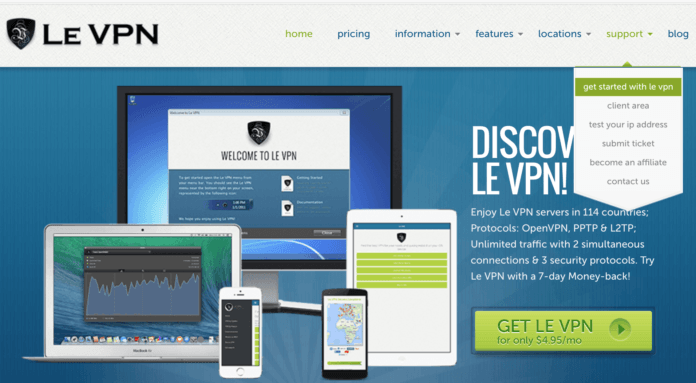 So, if you want security, anonymity, and online safety, LeVPN is every bit as good as any other VPN on this list. Many VPNs use different protocols, and there are many of them that are supported and recommended. Some of the VPN providers even offer the option to change protocol manually right at the start, near the list of available servers. The VPN protocol that most users recommend is the OpenVPN, but there are several others that could also prove good for you. These include PPTP (Point-to-Point Tunneling Protocol), SSTP (Secure Socket Tunneling Protocol), as well as L2TP/IPSec (Layer-to-Tunneling Protocol). Any of these will do when it comes to creating a secure tunnel through which your data can flow safely. They’re also combined with different encryption standards, like 256bit or 128bit. So, your data will be both encrypted and safely tunneled to from your device to the internet and back. We’ve already mentioned why you should use VPN, and how your data is being recorded by government agencies. That’s not all there is to it, though. As many are already aware of, the new US president has brought some new rules with him. One of the changes was the signed legislation that was previously approved by the US Senate as well as the House of Representatives, and it basically allows ISPs to record, collect, and sell their users’ data without the users’ consent. This data is most often being sold to advertisers, who use it to create users’ profiles so that they could be better at targeting them with ads, all in hopes of increasing their own sales. It was bad enough when people were spied on by the government agencies and had their data secretly recorded, but now things like that are even legalized. The agencies don’t even need to bother and record the data on their own; they can simply buy it from the ISPs. This is one of the biggest reasons why the people have turned to VPNs and similar ways of protection since they felt that this is a violation of their privacy and online security. It’s never too late to install VPN, even if you’ve never used one before. Installing them as well as using them is very easy, and it will protect you in more ways than one. All you need to do is choose the one that best suits you and your needs, go to its website and create an account. Next thing that you need to do is download and install the application, and then simply log into it, choose a server, and that’s it. You’re now using the VPN, and you can do this for less than $10 per month. Of course, free VPNs are a thing as well, and whenever there’s something that you can use for free, you’ll probably try it out, rather than paying for the same thing. Most people would, at least, and most people wouldn’t even notice the difference between the two. That only means that most people would be wrong. Free VPNs are as dangerous as not using VPN at all, or perhaps even worse. Their security, for example, is ridiculous in most cases, to say the least. Things like DNS leaks, that let your real info leak instead of keeping it protected, are also possible. Not to mention that those VPNs aren’t being paid by you and other users, but they still need to get money from somewhere, otherwise they wouldn’t be able to sustain themselves. What they do is keep logs, and then sell your info, just like the ISPs would do. Either that or they’ll bombard you with some third-party ads, or sometimes even both of those things. So no, using a free VPN, however alluring, is never a good option, and is never recommendable. 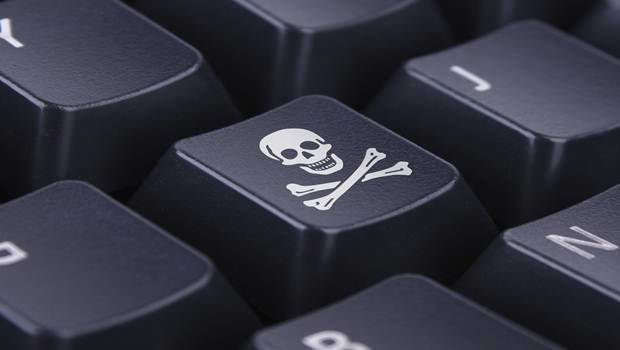 Many of the VPNs can be used for torrenting, yes, but there are also some that can’t. VPNs, by default, encrypt and protect your entire network and all of your connections, but some of them simply don’t support torrenting. This means that it would be either impossible for you to use torrent, or you’d be able to use it, but it won’t be protected. Either way, if you’re a fan of torrenting, you should check if your VPN of choice supports it, especially before you subscribe and pay for a monthly, or worse, annually subscription. The list of the US ISPs is long, and many of them cover most of the states. The ones with the biggest network coverage are AT&T, HughesNet, Verizon Wireless, Sprint, dishNET, Level 3 Communications, Earthlink Business, and XO Communications, all of which cover 50 states and even some of the additional US territories. When it comes to the fastest ones, AT&T Wireless takes the first place once again, with 100+ Mbps speed, but it also shares it with Verizon Wireless, Sprint, T-Mobile and several others. According to this, AT&T is officially the biggest, fastest ISP in the US, with the most population covered (over 306,000,000 people). The US doesn’t have as many blocked website issues as some other countries, but the problems still do exist. Despite the fact that the US citizens have access to things likes US Netflix, Hulu, and similar services. They still cannot access some of the websites or services that are available in other countries, especially when it comes to some European countries, UAE, China, North Korea, Iran, and alike. And of course, there’s always the problem when it comes to accessing US-only websites after you’ve left the country to go on a trip. Apart from this, there are also problems when it comes to schools, universities, and even internet access at work. Institutions like these often block big parts of the internet in an attempt to keep their workers/students in line and help them concentrate on the task at hand, instead of wasting time on social networks. However, they also end up blocking websites that are important for the students/workers and their research. Not to mention the fact that everyone works better with a little break from time to time. That’s why VPNs can also be used in situations like these, to grant access to websites that can be used for further research, as well as a little relaxation from time to time. Of course, VPNs aren’t the only way of bypassing firewalls and enhancing your security. They may be the best way, but they definitely aren’t the only way. Other than them, you can use proxies, Tor browser, SmartDNSs, as well as proxy websites. Proxies mostly work as browser add-ons, and most of the time, they only mask your IP address, by serving as an intermediate between you and the website that you wish to visit. Same goes for proxy websites, as well as SmartDNSs. Tor browser is something else, though. It’s a modified version of Mozilla Firefox, and it’s used for anonymous browsing. It uses a volunteer network, and it basically sends your data from one relay to the next, all around the world, until you and the data can’t be connected anymore. This way of securing your privacy is simple and easy, and it’s also completely free. In that case, why isn’t the best option? Well, mostly because the entire process takes its toll on your internet speed, and it basically makes it impossible for you to download anything, or even watch a video. So streaming and downloading are out, but the entire process is still fast enough to be used for regular browsing. Whether you’re within the US and you worry about your privacy, or you’re traveling abroad and you wish to have access to the same things you had back home, you should use the VPN. VPNs can protect yours and your family’s safety, they can help you bypass online barriers, and they can even cover you when you’re doing things like torrenting. Sure, the best ones cost you, but the prices are low, and you’ll barely feel them, especially if you subscribe to an annual package. Don’t let your data be recorded, your privacy invaded, and your security breached. Get a VPN, and put a stop to the data theft, whether it’s done by your ISP, your government, or anyone else.